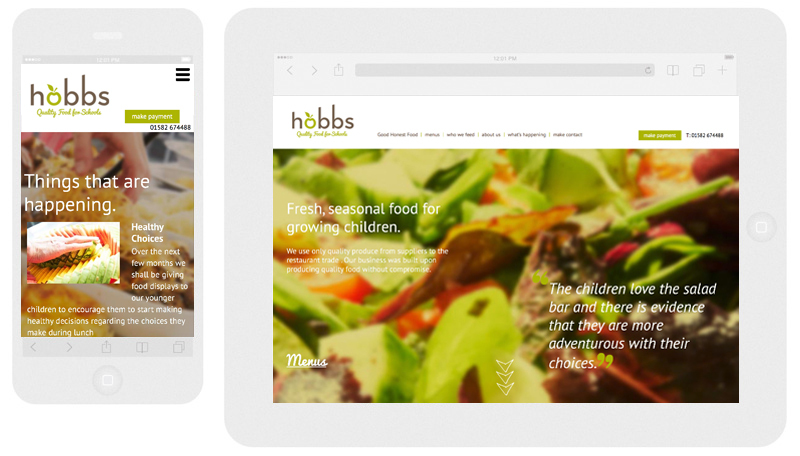 The Hobbs School Catering website is one of a number of projects we have completed for Red Hot Rocket Design in London. 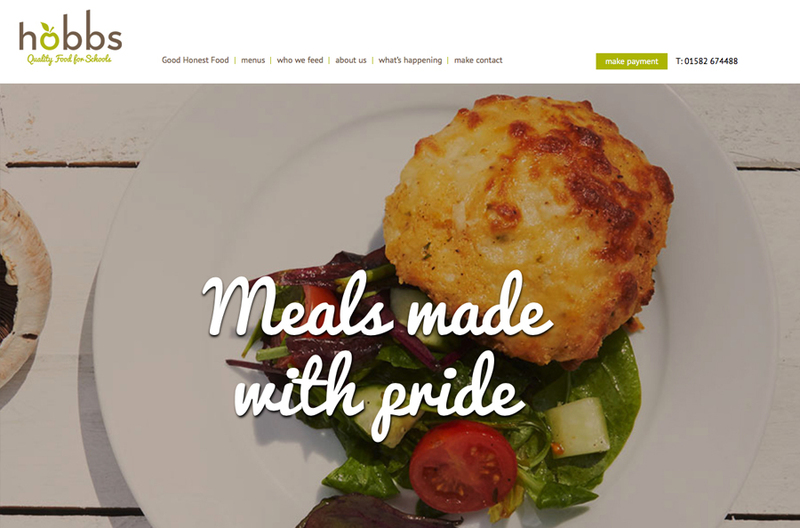 Using supplied designs we developed this parallax based WordPress website. We also created manageable PDF functionality for menu updating and a custom connection with their Bank for payments.